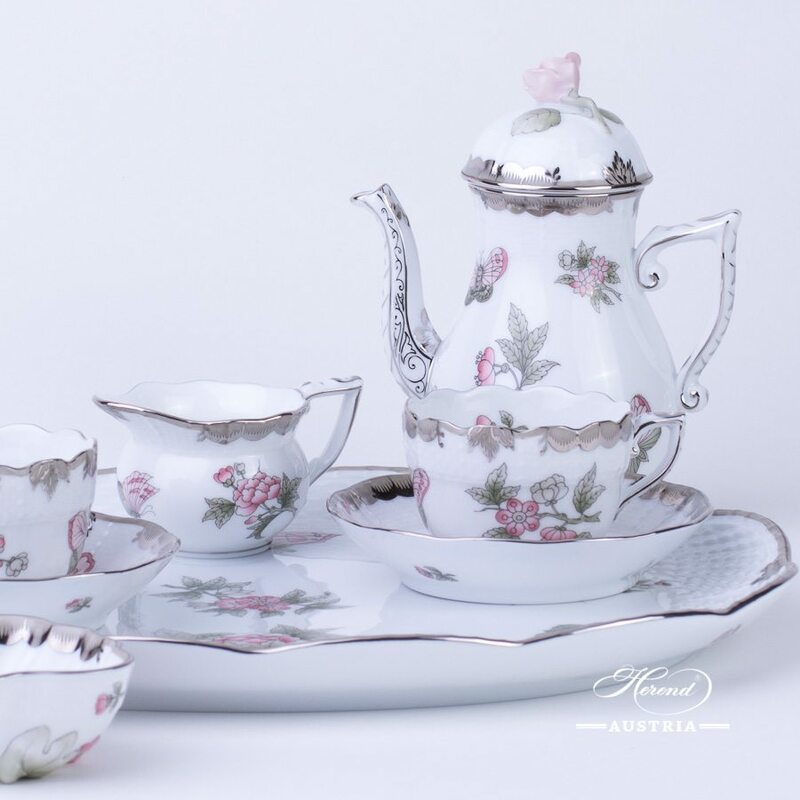 Queen Victoria Platinum VBOG-X1-PT – Coffee / Espresso Set for 2 Persons – Herend fine china. 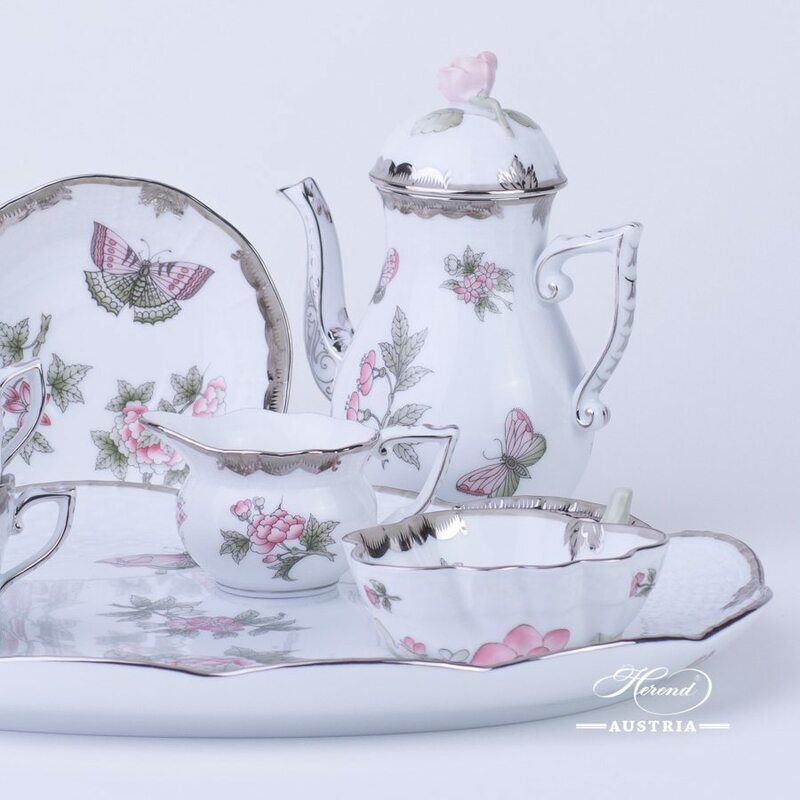 Herend Victoria Platinum design is a modern Herend pattern. 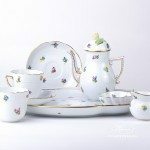 This Coffee Set is available for more Persons too. 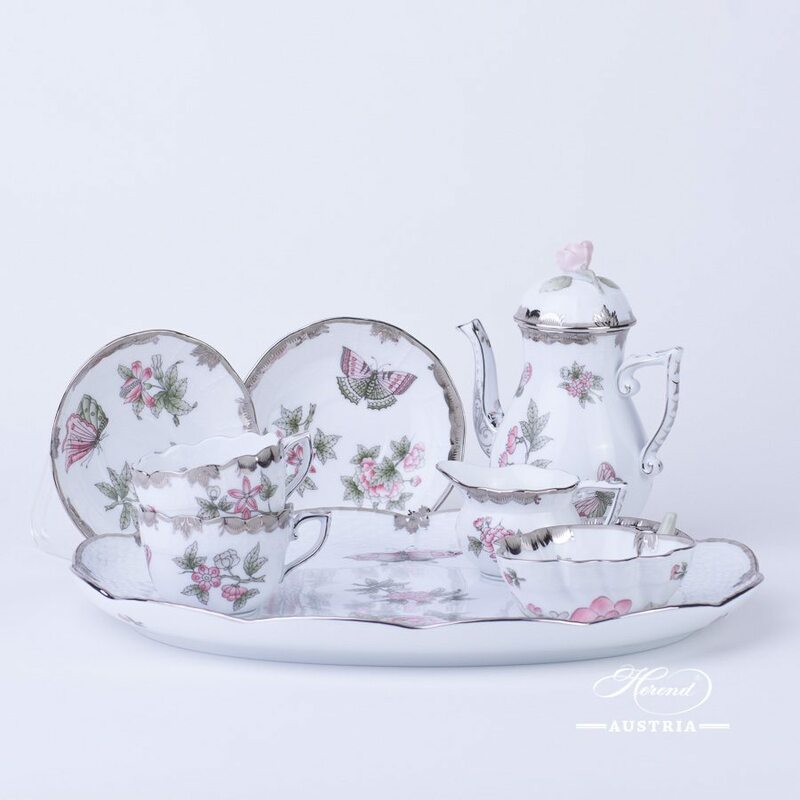 This Coffee Set is available for more Persons too and suitable for Espresso and Mocha as well. 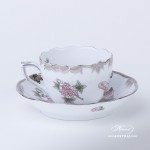 The origin of the pattern is associated with Count Albert Apponyi. Count Apponyi held a Gala Dinner for more than 60 guests. He ordered a new design, urgently. 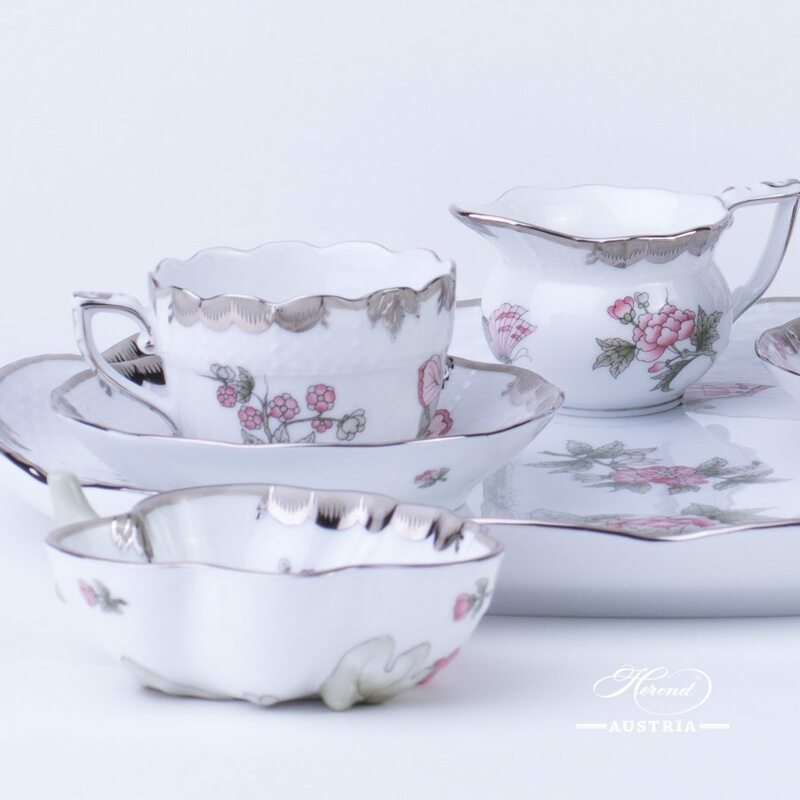 The Manufactory offered him a simplified version of Fleurs des Indes (Indian Basket decor). 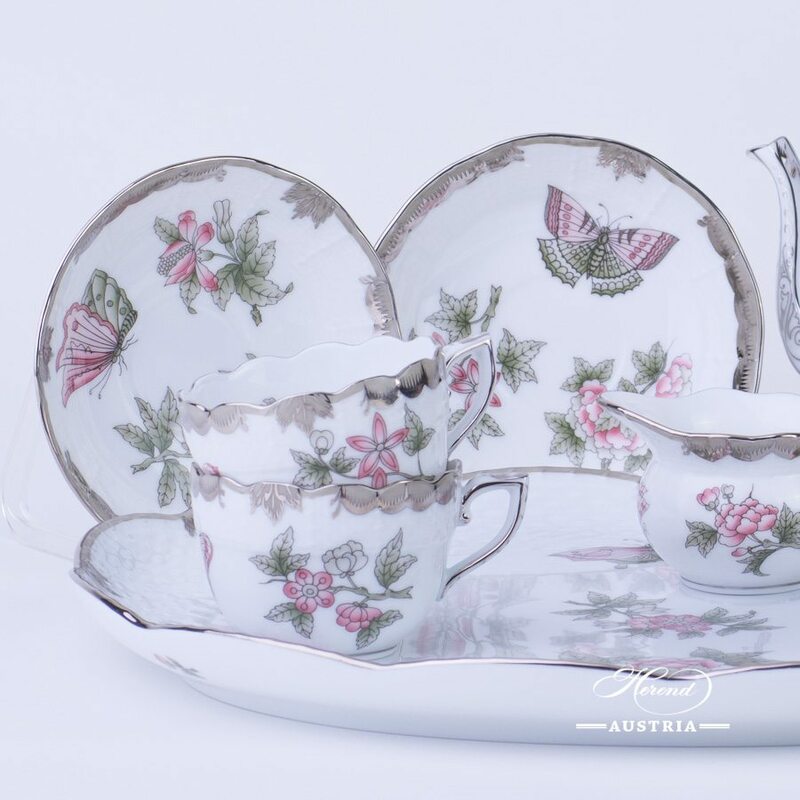 The Apponyi design has been redesigned many times. Also called as Chinese Bouquet. 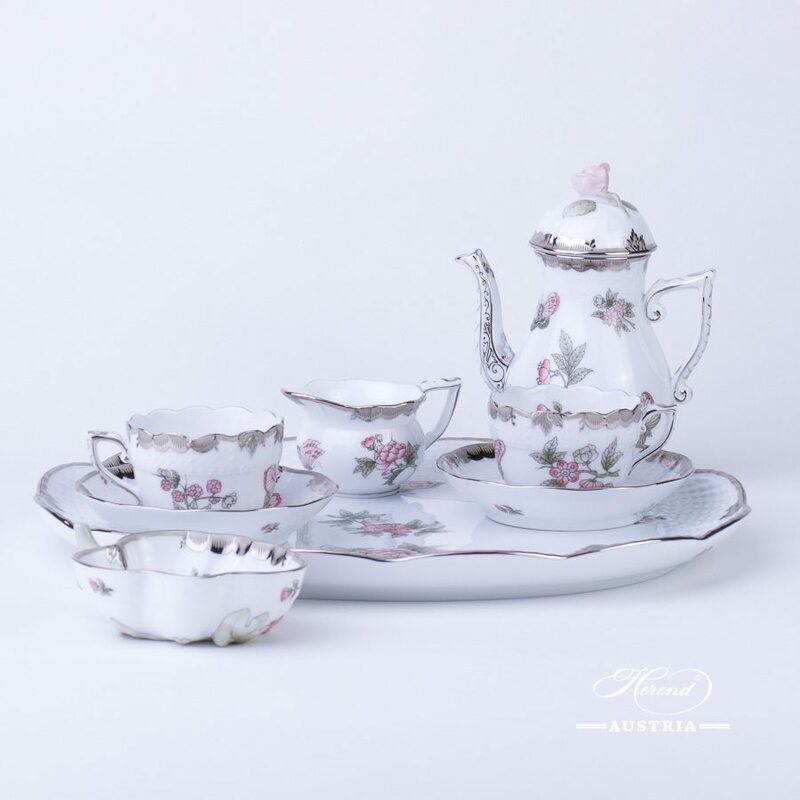 Apponyi Grey is one of the most recent redesigns. 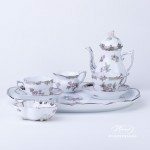 This Espresso Set is usually purchased for its simplicity. Our suggestion is to use it in offices, meeting rooms and official events.